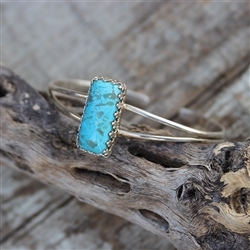 This is an elegant turquoise cuff. The turquoise measures 13/16" x 3/8". The cuff is 5/16" at it's widest.